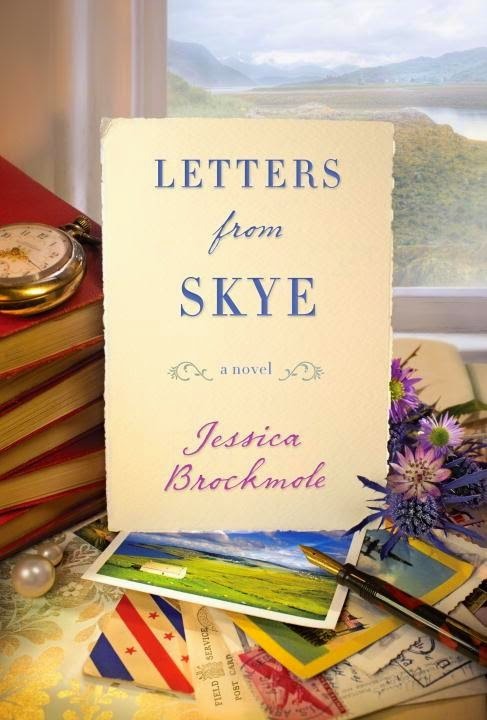 'A sweeping story told in letters, spanning two continents and two world wars, Jessica Brockmole's atmospheric debut novels captures the indelible ways that people fall in love, and celebrates the power of the written word to stir the heart. March 1912: Twenty-four-year-old Elspeth Dunn, a published poet, has never seen the world beyond her home on Scotland's remote Isle of Skye. So she is astonished when her first fan letter arrives, from a college student, David Graham, in far-away America. As the two strike up a correspondence--sharing their favorite books, wildest hopes, and deepest secrets--their exchanges blossom into friendship, and eventually into love. But as World War I engulfs Europe and David volunteers as an ambulance driver on the Western Front, Elspeth can only wait for him on Skye, hoping he'll survive. June 1940: At the start of World War II, Elspeth's daughter, Margaret, has fallen for a pilot in the Royal Air Force. Her mother warns her against seeking love in wartime, an admonition Margaret doesn't understand. Then, after a bomb rocks Elspeth's house, and letters that were hidden in a wall come raining down, Elspeth disappears. Only a single letter remains as a clue to Elspeth's whereabouts. As Margaret sets out to discover where her mother has gone, she must also face the truth of what happened to her family long ago. If you have read and loved The Guernsey Literary and Potato Peel Society odds are you will enjoy this book as well. They are very similar, yet different at the same time. This book focuses more on a few characters, while the other seems to focus more on the whole island and how the war affects them. Still you can compare the two and see that they have a lot of the similar themes, but this book was more about love in wartime versus how war effects society as a whole. This book switches back and forth from World War I and World War II and shows the readers the similarities of the wars, but how different they really were. World War I was mostly fought away from England, while in World War II, England was constantly bombarded with bombs. Elspeth Dunn begins a strange relationship with an American after she receives David's first letter congratulating her on her poetry book. Soon they strike up a friendly correspondence and over time they fall in love. It is interesting to see how an ocean and a war cannot deter true love. This book also features Elspeth's daughter Margaret and how she is coping during the beginning of WWII. Margaret is a lot like her mother, but she doesn't realize it because her past was kept secret by her mother. Her mother kept her in the dark about her father and her mother's life before having Margaret. There is a lot of mystery in this book because when you're reading it, you can help but want to know what happened. The author did a fantastic job of making this reader want to read through the pages as fast as possible to find out how everything happened. I enjoyed this book a lot. It was a short and quick read and I was able to read it in one day. I hate that it was so short, but I can imagine how hard it is the for the author to write in nothing but letters. This book is told through the character's letters to each other. I enjoyed the different approach that this book took in telling its story. I think that this is a great read for people who love to read about WWI and WWII and encourage others to discover it for themselves. I would have given this one a 3 at best, but the Guernsey book got a 5+. To each his own and I enjoy your reviews. They have led me to new authors/books. Thanks.